Once considered to be a pest that was only abundantly present in our past, bed bugs now infest each and every single state in the nation. These small, flat insects feed on the blood of mammals and avian blood. The insects disappeared in the 1940s and the 1950s because of the optimal hygienic methods taken during that time and the introduction and use of pesticides; however, these pests are now, once again, back. According to pest control technicians, it is believed that the current bed bug epidemic stems from highly populated urban regions, the amount of global travel that occurs, and the insects increasing resistance to pesticides. There are many common myths surrounding bed bug elimination techniques. In this guide, you will be introduced to a few of these myths. Many people believe that, by using room defoggers or bug bombs, that bed bugs will be eliminated. While it is true that these products contain the ingredient that is known to kill bed bugs called “pyrethrin”, when a defogger is used, the insects will hide from the pesticide that is emitted within the air. As a result, most of the bugs will remain alive. Many believe that it is necessary to throw away a bed that has been infected with bed bugs; however, it has been established that by placing the mattress in an encasement, the bed bugs will be trapped and will die. This is not always effective for reducing a whole-house infestation, but, it is a productive measure to take in order to avoid getting rid of the bed. 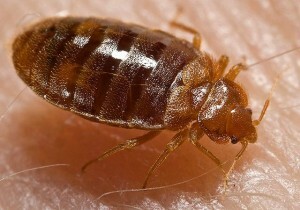 Many believe that if the heat in the home is turned up, it will kill bed bugs. Heat at temperatures of over 120°F will, in fact, eliminate bed bugs, but, not the standard heat in your home. The temperature has to be evenly distributed over all surfaces in the home for well over an hour.